Iberostar Grand Perast can be found nestled on the Adriatic Coastline, overlooking the Bay of Kotor. It’s ideally located for those wanting to make the most of the many shops, restaurants, bars and historic sights of Perast, which is located on your doorstep. Each of the rooms are stylishly decorated, with contemporary interiors and sea views available. When it comes to dining, guests can choose from a delicious selection of dishes from the à la carte restaurant, which features international options as well as unique local delicacies. Head to the lobby bar for a relaxing cocktail or glass of wine, or spend an hour or two being pampered from head to toe in the spa. 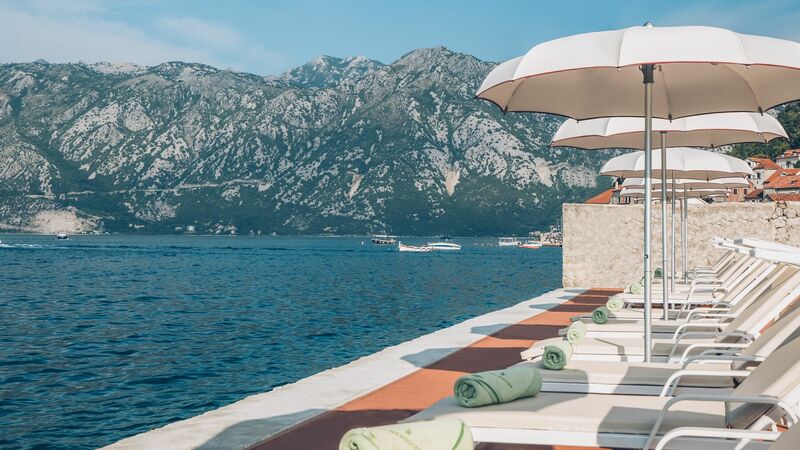 If you prefer to soak up the warm sunshine, take a speed boat ride from Iberostar Grand Perast to its private beach club, where you can rent loungers and parasols and make the most of a complimentary welcome drink and towel. A range of child prices are available at this hotel from 2-11 and 12-14 years. 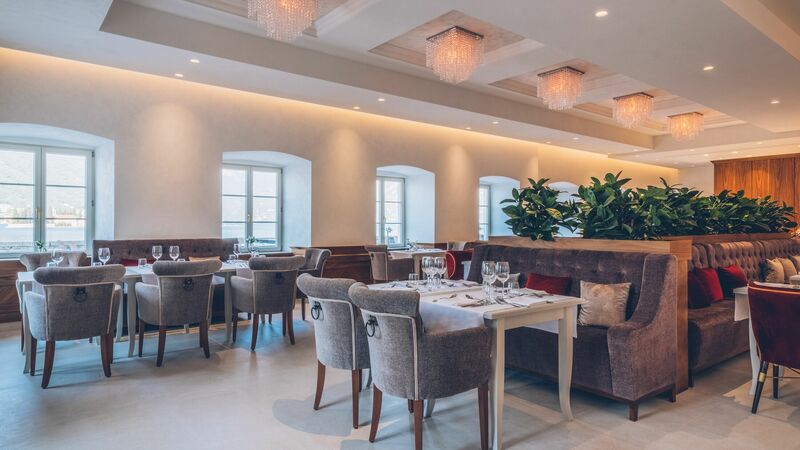 This stylish restaurant serves a delicious range of Balkan dishes, with influences from Austria, Hungary and Italy, as well as international options. 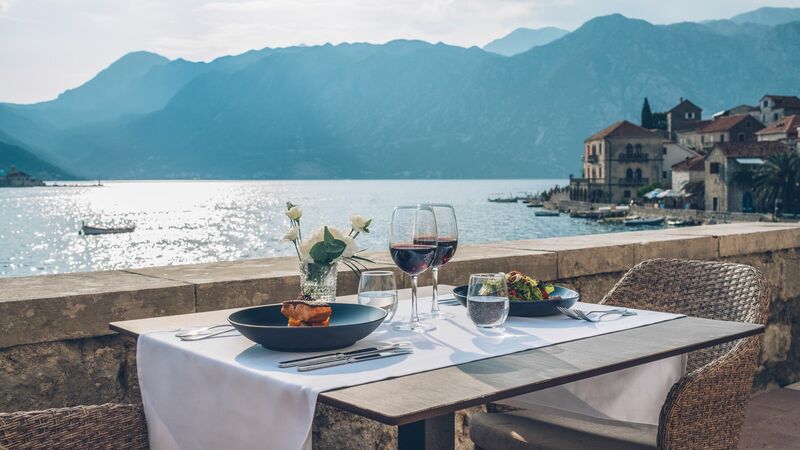 Take in spectacular views of the beach and Adriatic Sea as you enjoy exquisite food accompanied by fine wines and cocktails. The Principal Restaurant serves an extensive buffet breakfast, including fresh pastries, fruit, hot options and more. The Lobby Bar offers beautiful views of the beach and serves tea, coffee, cocktails, wines and more throughout the day and into the evening. Hop aboard the hotel’s free speedboat service, which will take you to the hotel’s beach club. This includes a complimentary welcome drink and towel. Sun loungers and parasols are available to rent too. 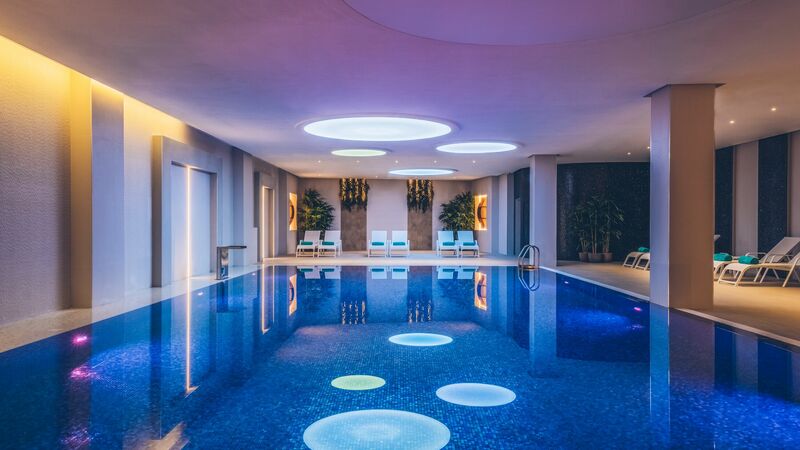 The hotel’s spa provides a range of treatment rooms where you can choose from therapies including facials, massages and pedicures. There is also an indoor swimming pool, relaxation area, hammam and sauna. Iberostar Grand Perast can be found nestled on the edge of the Adriatic Sea, within the historic town of Perast. It’s in easy reach of a small selection of excellent restaurants and bars, which can be found housed within pretty whitewashed buildings. Spend your days relaxing on the hotel’s beach, which is just a short speed boat ride away, or making the most of the fantastic views from its rooms and grounds. History and culture lovers will find the ornate St Nikola Church within a 5 minute walk, as well as the museums and other churches of the town. If you prefer to keep active there is hiking, mountain biking and more within easy reach of the hotel. Iberostar Grand Perast Hotel is a 30 minute drive from Tivat Airport or an hour and 30 minutes’ drive from Dubrovnik Airport. Sleeps up to 2 adults. Bright, airy and contemporary, these rooms are located in a former factory building and offer air conditioning, a telephone, safe, minibar, telephone and TV. There is also a choice of two single beds or one double, as well as an en suite bathroom with a bath or shower. Located in a former palace, these more spacious rooms are tastefully decorated and include air conditioning, a safe, minibar, telephone, TV and free Wifi. You can choose from two single beds or one double and there is a sofa bed and en suite bathroom with a bath or shower. These bright and modern rooms are located on the third floor and offer side views of the Adriatic Sea from large windows. Guests can make the most of the air conditioning, a safe, minibar, telephone, TV and free Wifi. The room comes with two single beds or a double bed and an en suite bathroom with a bath or shower. Relax in your private garden with sun loungers and shower or enjoy the luxury, stylish interiors of your room and make the most of air conditioning, a safe, minibar, telephone, TV and free Wifi. Guests can choose from two single beds or a king size bed, and make the most of a sofa bed and an en suite bathroom with a bath or shower. These contemporary suites offer beautiful sea views, as well as air conditioning, a safe, minibar, telephone, TV and free Wifi. Guests can choose from two single beds or a double bed and make the most of an en suite bathroom with a bath or shower. 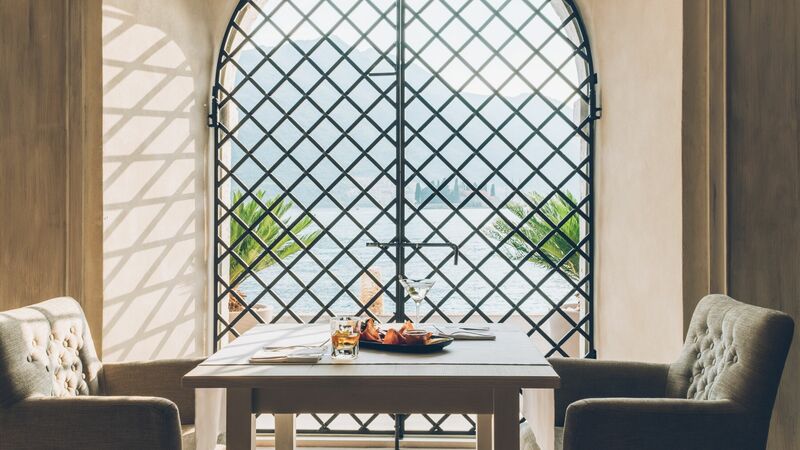 Take in the views of the Bay of Kotor from your large windows and enjoy the tasteful interiors of these bright, spacious rooms. Guests can enjoy air conditioning, a safe, minibar, telephone, TV and free Wifi. There is also a king size bed and an en suite bathroom with a bath or shower. Ideal for families and small groups, the Duplex Deluxe room is tastefully decorated and has two floors, two bedrooms and a terrace. There’s air conditioning, a safe, minibar, telephone, TV and free Wifi, as well as a king size bed and two single beds, and an en suite bathroom with a shower and bathtub. Save up to 25% on the hotel price for holidays between 01 April - 31 October 2019, booked at least 90 days in advance. Save up to 20% on the hotel price for holidays between 01 April - 31 October 2019, booked at least 60 days in advance. Save up to 15% on the hotel price for holidays between 01 April - 31 October 2019, booked at least 30 days in advance. Save up to 10% on the hotel price for stays of 5 nights or longer between 01 April - 28 September 2019. Please note the above offers are not combinable.